CosmoBC.com » AstroBlog » Space Exploration » Why Did Lunar Outpost Design Small Rovers for the Moon? It’s been a long time since we’ve sent people to the moon. 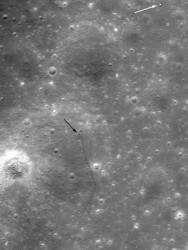 The last human being set foot on our satellite in 1972 and though China has sent probes to the dark side of the Moon, no humans have visited it in decades. In spite of this, many countries are still looking up into the night sky and wonder if the moon has more to offer. One company is working on exploring that potential in the future. 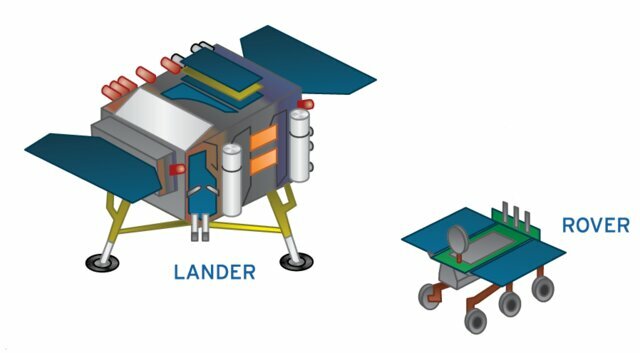 Why is Lunar Outpost designing small rovers for use on the moon? While there’s no cheese on the moon, it is rich in minerals and other materials that have applications back on Earth. Fly-by missions have detected everything from precious metals to water and helium-3 on the satellite’s surface. As with any every other mining operation, prospecting to determine optimum mining locations. This can be difficult for human miners since the moon has no atmosphere to support human life or mining operations. Many of these elements exist on Earth in limited quantities, which seems to support the theory that the moon might be a broken-off chunk of our home planet that spun off when the Earth was forming. Other theories include the possibility that the moon is our planet’s “little sister” that formed at the same time this planet did, or the theory that the moon is just a stray dog that followed us home, getting caught in Earth’s gravity in the past. Prospecting on our closest stellar neighbor doesn’t mean we can necessarily mine the moon. Five years ago, experts were unsure who might have owned the property rights to the moon itself, which means that until those rights are figured out, no one will be allowed to harvest the materials available on our orbiting satellite. Established in 1959, the International Outer Space Treaty regulates how we as a species can use resources that exist outside our atmosphere. In essence, it states that anyone can explore space, but no one can make a sovereign claim on any celestial body unless it benefits all nations. So, no one country can mine the moon unless the resources it gathers are used to help the entire planet. Startup Lunar Outpost is in the midst of designing rovers they want to send to the Moon to prospect the resources that might be available on the Moon. Water, for example, could be used to support human life on the Moon or be electrolyzed into hydrazine or rocket fuel. Each drone will have an onboard drill for taking samples, a portable mass spectrometer for examining those samples, as well as cameras, LIDAR transmitters and receivers to collect data for the monitoring team back on Earth. Since these drones are designed to be small and portable, the wire and other parts used to assemble them will need to be smaller than the ones we would find on, say, the Curiosity Rover on Mars. Wire as little as 0.004 in diameter could allow electronic components to shrink, so they’ll fit inside these handheld rovers. It might be a while before we see anyone setting up mining operations on the moon, but Lunar Outposts’ rovers are potentially the beginning of something amazing. There is no information yet on when these little rovers might make their way to the lunar surface — the first mission is planned tentatively for sometime mid-2019 — but one thing is sure: we’re getting excited about the Moon again. China recently sent plants to the dark side of the moon that did sprout, though they weren’t able to survive the frigid lunar night. If these efforts continue to advance, we may see humans living on the moon in our lifetime. Image of the Chang’e 4 Chinese Lunar Mission. Created by Loren Roberts for The Planetary Society. License: CC BY 3.0.